Travel can be very rewarding. From tasting new foods and seeing other cultures to immersing yourself in new experiences and learning to adapt, the entire process of taking yourself outside your comfort zone can teach so much to people of all ages. 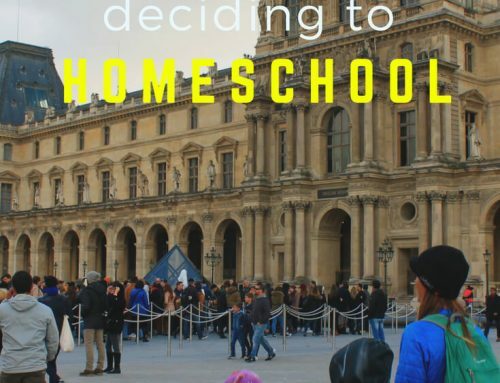 For kids, travel is just as rich and rewarding of an experience and a huge reason why Worldschooling has become a popular way to educate children. I never recommend the lifestyle we live for other families. It’s a lot of work. The pace we travel at and the comforts we go without are a lot of stress on a family. However, I do recommend finding a way to put your life on hold and travel for six months. While traveling, there are many moments of bliss, but they are usually sandwiched between large doses of uncomfortableness and endurance. For our first trip through Europe, these stresses came in the form of putting up with the smell of the toilet cartridge which constantly needs to be dumped, having to wait five days to shower, and limiting the amount of food consumed at each meal in order to stay in our tight budget. 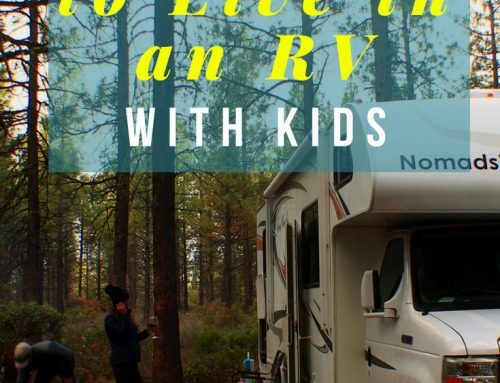 But the values and lessons that they learned in the two months we lived out of a tent and four months out of a 22-foot RV were way more valuable than what they would’ve been taught sitting behind a desk in a classroom. 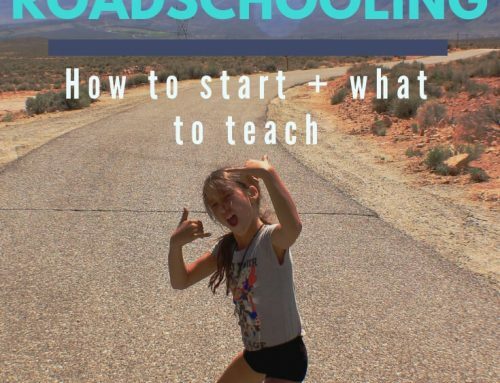 These are my ten favorite lessons that I saw my kids learn over the course of our very first six month road trip through Europe and a few recommendations that you can do as a parent to make travel a richer and more educational experience for your kids too. I have shy kids, but by the end, my oldest three kids would walk into a grocery store or restaurant and communicate with eye contact what they needed to people who most often did not speak English. I think it helped seeing me struggle communicating in some countries that it helped them realize you don’t have to be perfect, you just have to try. While I don’t make us all sit in a circle and meditate or hold hands and chant, there are plenty of quiet times for reflection over the course of our journeys. Through the questions they asked and conversations they have with each other, I know they are spending a lot of time contemplating what’s important to them and what they want from their own lives. Parenting Tip: Ask your kids hard questions and let them develop their own opinions. This one is my favorite lesson because we all find ourselves wanting to quit something at sometime in our lives. You learn the value and the satisfaction that finishing a physical challenge brings and the sense of accomlishment that comes with it. Sure it’s cold, but how often do you get to sit in a line up in front of a castle ruin? Sure you could sit in a classroom and watch a Discovery Channel movie in HD and think you know nature but it will never compare to experiencing it first hand. To paddle out into the icy oceans of Ireland and Scotland. To compare rock formations around the globe while searching for your next handhold. To stand in the middle of the Dolomites while a thunderstorm rolls in above you. To hike past Eiger mountain and look down on the tiny village of Grimsel while listening to avalanches crash down from the glaciers across the river bed. To sleep under the clearest of nights full of stars under a castle ruin. From the fjords in Norway, to the French Pyrenees, to the sun setting over the islands of Croatia, kids who have traveled can tell you we live on one gorgeous planet. We are taught to beware of strangers but when you travel you have to do so with a sharp mind and an open heart because at some point you will need the help of a stranger. The crazy thing is, the more you ask for help, the more you realize just how kind and giving most of the world is. Parenting Tip: Don’t always be protective. Teach your kids how to assess situations and give them opportunities to figure things out. Everywhere we’ve traveled abroad—Europe, Costa Rica, New Zealand, and Bali—there are cows and sheep all around you, but if you live in the States, you rarely see cows. We have seen a lot of cows in our travels. All cows are not the same. Nicaraguan cows are the skinniest cows you will ever see. Scottish cows are the stalkiest and most muscular. Swiss cows are tall and elegant looking. Irish and English cows are stout and beefy. The point is that while we travel, we are always close to the food we are eating. It’s rarely being shipped hundreds or thousands of miles. I love that my kids have grown to appreciate and ask for locally grown food and we all miss seeing cows and sheep surrounding towns. Parenting Tip: Shop at local farmer’s markets when you travel, especially the ones in smaller villages so you can teach your kids more about how much love goes into making high quality food. We had a budget of €150 a day for all our food, gas, and camping expense. The kids were very involved in how we spent that. If we free camped that meant no showers or electricity but then we could go out to eat. If we ate mostly vegetables for our meals we had more money for splurges like gelato. Parenting Tip: Try giving yor kids a travel budget or let them be in charge of keeping track of expenses during your travels. We walked through a lot of old towns, explored dozens of castles, and took pictures of too many churches to keep track of. They may not be able to tell you the chronological order of the kings of England, but they can tell you how cold the castle floors were, how intricate the sculptures are in the Duomo’s of Italy, and how slippery cobblestone roads are now from so many hundreds of years of use. Knowing the smell and feel of history is again, priceless. Parenting Tip: Rememeber, we live in an age of technology, memorizing facts isn’t nearly as important as being able to analyze and think dynamically. I can’t believe how lucky we are to travel today with smart phones. 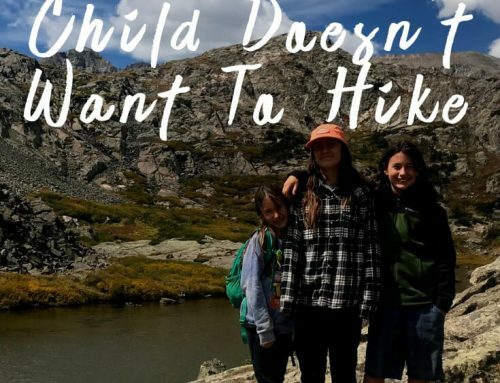 My kids spend hours researching the best hikes and climbs to do, top attractions in the cities we visit, which campground to stay at, when the next swell will hit our next surfing destination, keeping an eye on the forecast in hopes of avoiding the rain that seems to constantly be chasing us regardless where we are in Europe. Research skills are incredibly valuable nowadays and can be applied to whatever career path they choose. Hiking to the edge of Molden and staring down on the turquoise still waters of the Songfjord leaves quite an impression on your mind and soul, but when the memory starts getting mixed in with a hundred other awe-inspiring moments they may start to blend together. Parenting Tip: Slow Down. Adventure takes time and shouldn’t be saved for special occasions. You can make every day feel like an adventure by blocking out time in your day to experience new sights, sounds, and activites (and this doens’t have to be expensive either). True, I’ve shown them the world, now what do they have to look forward to? Well, we skipped Rome, we didn’t get to do a Via Ferrata, we didn’t climb Ceuse or Verdon Gorge, we missed all of Austria and most of Spain, we didn’t spend nearly enough time in the Dolomites (& that’s just Western Europe). We still have barely touched on many parts of Washington and Utah. And then there’s the whole east coast of the US. You get the point. I’ve only shown them the tip of the iceberg and my goal wasn’t for them to see it all. I really just hope it inspires them. I hope it inspires them to seek out their dreams and search for their own meaning of life. I hope it inspires them to find the good in the world and to fight to protect the oceans, mountains, forests, and all our natural resources. I hope it inspires them to take the road less traveled even if it means they may be uncomfortable some days but in the end, it takes them to their version of happiness. If it inspires them to travel more, then that’s fine too because if the inspiration is dramatic enough then the desire will be intense and all greatness starts with a burning desire for something. 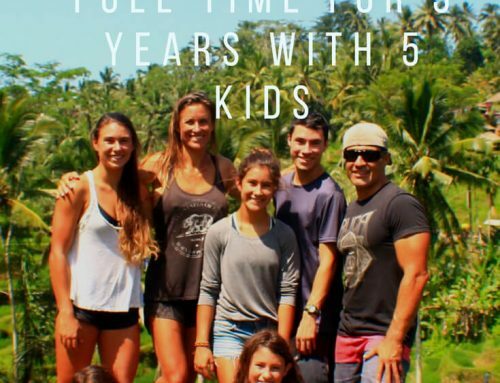 Thinking about traveling with kids? Ask us questions in the comments below! We’d be happy to answer them.